We're often asked whether there are any cost benefits to initially purchasing a license for a lower number of users/venues than are actually required and then upgrading your license to the desired amount later vs. purchasing the desired license right from the outset? Broadly speaking the answer is no; you'll essentially pay the difference between the two license bands when you upgrade. 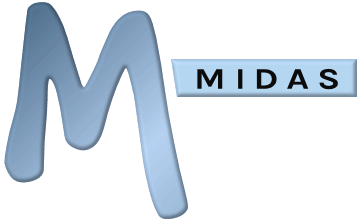 As such, the cost to upgrade a MIDAS license would be the difference between the two licenses at time of upgrade, not at time of your original purchase. Taking the above illustrative example; If you purchase a 1 user/10 venue license on a particular day when the difference between that license and a license for 1 user/20 venues was $100, if a couple of months later you then decide to upgrade to a 1 user/20 venue license, the cost may be slightly higher or lower than it would have been had you purchased a 1 user/20 venues license from the outset a couple of months previous, due to fluctuations in currency exchange rates. So in summary the cost to upgrade your license would be the difference between your current and your desired license at the time of upgrade. Please also note that as the your Annual Support Subscription cost (if applicable) is based in part on the total users, venues, and databases licensed to your MIDAS. Consequently, after upgrading any of these elements, your subsequent subscription renewals may be higher.